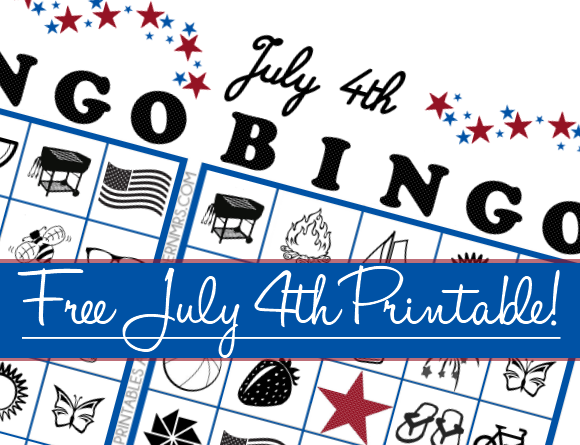 [Printable] July Fourth Bingo Cards — a Modern Mrs. 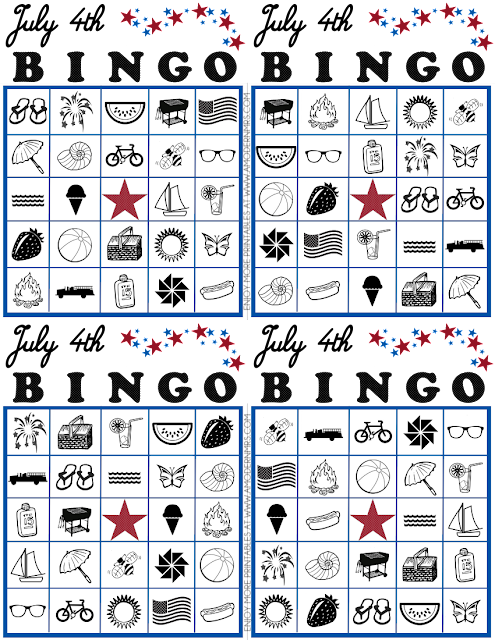 If you're looking for some fun, themed games to play this Independence Day, look no further! I've whipped up a little bingo game for your family to enjoy, filled with items you typically see around that time of year. Whether you're vacationing for the holiday, going to a local carnival, or hanging out at home, your kids are sure to enjoy this printable. I printed these for my own family using standard printer paper, but if you're looking to make them last a little longer, you can print them on cardstock. For the game pieces, you can use stickers, plastic game chips, Cheerios, or candy. I'm partial to candy, but if you have little ones, you may want to stick with Cheerios. No harm no foul if they sneak in a few of those, right? Whichever you choose, print these cards and enjoy! Click below for your free download! If you have printed these out for your child(ren), please tag me on Instagram (@amodernmrs), or use the hashtag #amodernmrsprintable! I'd love to see these in action!